Steven Covey wrote the bestseller “7 habits of highly successful people” and Tony Robins, motivational speaker, teaches habits that lead to incredible success. Much of what these speakers say has been covered by our Prophet’s (SAW) sunnah. Prophetic habits, if adapted, lead to highly successful people and a successful life. 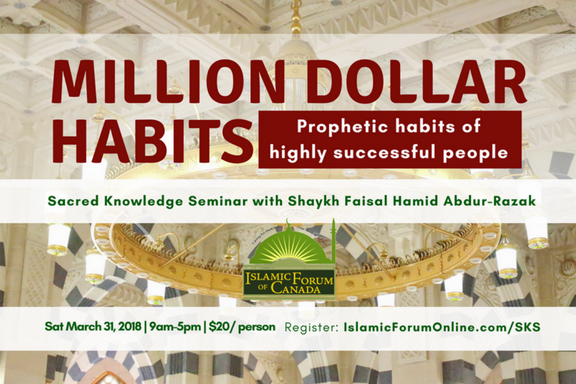 Shaykh Faisal Hamid Abdur-Razak will talk about the habits of our Prophet (SAW) and how they can lead to success.